I didn’t have a clue what I was doing with my skin when I was a teen. Back then, I’d just buy the cheapest cleanser I could find. They were usually the foaming kind that left my skin squeaky clean. I thought that tight feeling I always got afterwards was proof the cleanser was doing its job well. No chance the tiniest speck of grime was still on my skin. Ah! So what if my skin was oilier than usual and pimples made a frequent appearance on my face? I was a teen. Ever heard of hormones? I blamed them for everything. I felt like that until I heard about the low pH life. Switching to an acidic cleanser (that’s a cleanser with a low pH, FYI) was a game changer. Now my skin finally behaves. It’s stopped pumping out so much oil. It doesn’t feel tight and sensitive as it used to. I don’t even get pimples that often anymore. What The Heck Is Ph? PH stands for “power of hydrogen” and measures the acidity vs alkalinity of a solution of water + something. PH 7 is the neutral point. Anything below it is an “acid” and anything above it a “base” (or alkaline). When your acid mantle is intact, your skin is moisturised and healthy. But when it starts to crack, your skin becomes dry, sensitive and more prone to irritations. So you just need to make sure it stays intact, right? It’s not so easy. Anything you put on your skin that’s higher or lower than its natural ph will raise or lower its ph levels accordingly. Put another way, what you use on your face can destroy this protective barrier. Cleansing is one of the biggest culprits. If you’re into DIY, you can adjust the ph of a substance and make it more acidic or more alkaline. But depending on what you use, you could create new and unwanted chemicals in the solutions. In other words, study some basic chemistry to know what you’re doing or leave the job to the professionals. Don’t follow random recipes online, especially those that use baking soda or lemon. Their high ph will destroy your skin’s acid mantle. 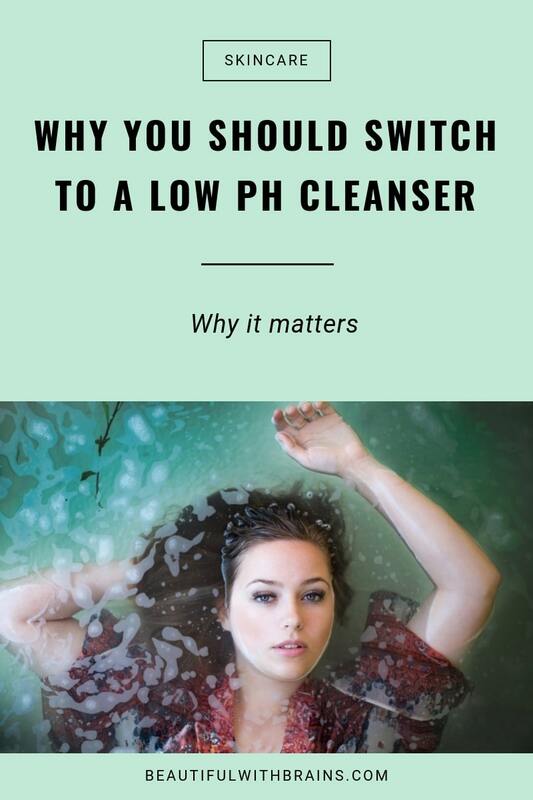 Cleansing changes the ph of your skin. In other words, every time you wash your face, you’re raising the ph of your skin and disrupting the acid mantle. You’re removing too much oil, making holes in the shield and weakening its natural defences. Scary huh? If you’re prone to acne, you have one more reason to switch to a low pH cleanser. There’s a reason why your skin’s acid mantle is acidic. An acidic ph is NOT bacteria-friendly. But when you raise the ph up several notches, bacteria suddenly find the perfect environment to proliferate and thrive. A 1995 study tested the impact of cleansing on acne-prone skin. Scientists asked patients with inflammatory acne lesions to use either soap or an acidic cleanser for three months. The results? Only one month later, the group using soap had way more lesions than before. The group using an acidic cleanser had the opposite result: they had fewer lesions than before! In other worse: high pH soaps make acne worse while acidic cleansers help clear acne up. The reason? As this study shows, when you wash your face with soap, P. Acnes (the bacteria that causes acne) proliferates. You have a lot of those nasty buggers on your skin. But when you switch to an acidic cleanser, the amount of P. Acnes bacteria on your skin falls down significantly. In other words, an acidic cleanser makes your skin inhospitable to P. Acnes and other bacteria. Foaming cleansers are usually the worst culprits because they use surfactants (ingredients that help water with mix oil and dirt so they can be rinsed away) that raise the skin’s ph. For a list of safe, low pH foaming cleansers, click here. Is Raising The Ph For Only A Few Hours Really That Bad? You’ve probably heard the pH of your skin eventually goes back to normal after cleansing. And that’s just the short term effects. Studies show that washing your face with a high pH cleanser regularly (and you do wash your face every day, don’t you?) has a cumulative effect and increases the time your skin takes to recover. You’ve probably noticed this first hand, especially in winter. The more you wash your hands (or face, for that matter), the drier they get. It’s the same for your skin. That tight feeling you get after washing is a tell-tale sign your acid mantle is compromised. This may also be why the rest of your skincare routine isn’t working anymore. If you’re using hyaluronic acid serums, moisturising oils and co and you find your dry skin isn’t getting any better, chances are your cleansing habits have badly disrupted your acid mantle. Until you fix that, your skin will never go back to normal. How Can You Tell The Ph Of A Cleanser? Avoid bar soaps. They only work at a high ph (yes, even natural ones). Buy a bunch of pH strips and test your cleanser yourself (I know, a pain!). Check out this handy spreadsheet with popular cleansers and their pH (thanks to the Asian Beauty community on Reddit). The pH of your cleanser matters. Opt for acidic cleansers that don’t compromise your skin’s acid mantle and watch your skin say goodbye to dryness, sensitivity and pimples. Do you use an acidic cleanser? Share your fave picks in the comments below. Can Peptides Get Rid Of Dark Circles And Puffy Eyes? I’d never even thought to look at the PH of my cleanser! 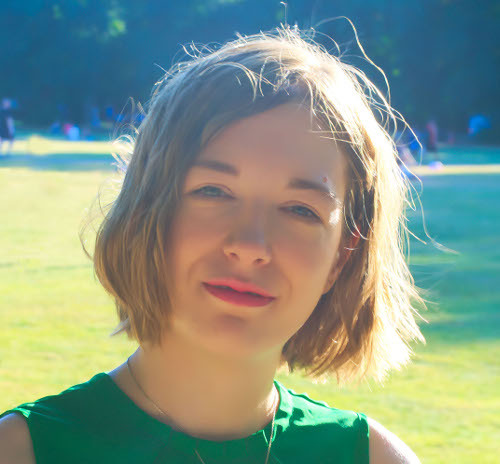 I currently use Garnier sensitive micellar water, and Emma Hardie moringa cleansing balm. I’m off to order some PH strips! Thank you for the info. Porcelina, it’s one of those underrated things you never noticed until it’s too late, is it? You’re welcome. Katie, I second that. I love CeraVe cleansers. They’re so gentle yet effective. Can I ask how low is your cleanser should be? The sheet tells some of the cleansers go lower than 5.5. My thinking is if it is lower than 5.5 combine with water 7.0 so the stuff on my face will be 5.5 and should be good? Thy, if it’s around 4 it should still be fine. But I wouldn’t go lower than 3.5. Great article! What are your thoughts about the pH of moisturizers and serums as these would also impact the balance? Shan, most skincare products are already formulated a skin-friendly pH. Unless you notice your skin is getting drier or is acting up, I wouldn’t worry about it.